If your elderly loved one has been injured due to abuse or neglect at a nursing home or by a trusted caregiver, call Travis Siegel for a free consultation. Attorney Travis Siegel is focused on one thing: protecting the elderly from neglect and abuse. As an elder abuse lawyer, he helps victims and their families obtain justice and compensation when caregivers fail in their duties and cause harm to the men and women in their care. Elderly people are often suffering from cognitive impairment and weakened bodies, and cannot protect themselves against physical, sexual, or psychological abuse. Mr. Siegel received his J.D. from the University of Oklahoma College of Law, and is a member of the bar in both California and Oklahoma. He is also a member of the American Association for Justice and the California Advocates for Nursing Home Reform, among other societies. Visit our elder abuse case results page for more examples of settlements we have obtained. Our parents and grandparents deserve to be taken care of and accorded respect. 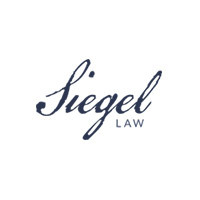 Travis Siegel can help make sure your elderly loved ones receive both compensation for their injuries and better care in the future.